During receptions time in Forest School they built a troll bridge and acted out the story of The Tree Bill Goats Gruff. They did a fantastic job, well done reception! 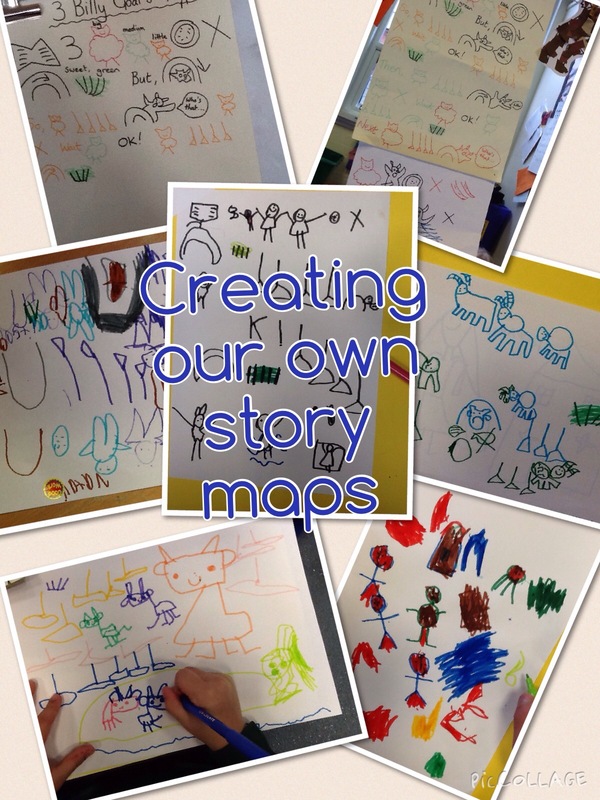 During Plan/Do/Review today the children decided to create their own story maps of The Three Billy Goats Gruff. They used their maps to retell the story. What fantastic independent learning.